Florida Highway Patrol investigators know the intersection at Matanzas Woods Parkway and U.S. 1 for its dangers to traffic, though the lines of sight are unimpeded there in every direction–a mile north, a mile south, and about half a mile on the approach of Matanzas Woods to U.S. 1, from the east. 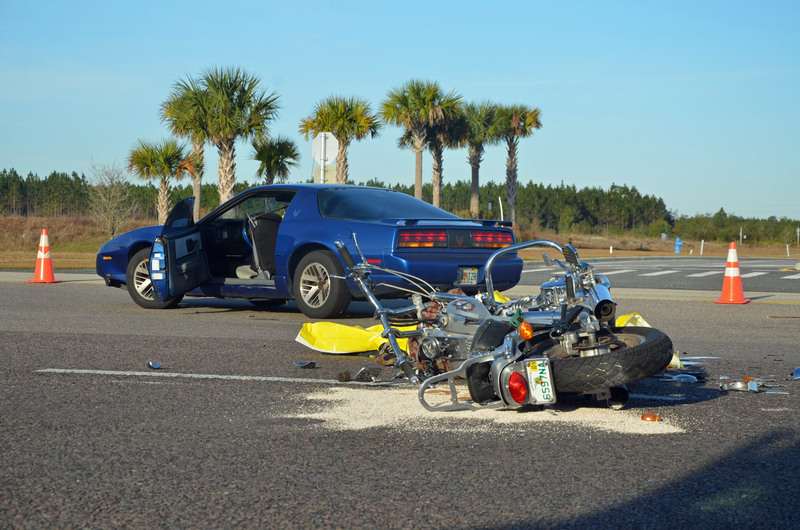 A motorcyclist was airlifted in critical condition less than a year ago at the intersection after an elderly man, making a turn onto U.S. 1 from Matanzas Woods, failed to see the motorcyclist, who slammed into the car. Wednesday morning, in a nearly-identical wreck, Gary Pearson, a 54-year-old resident of Jacksonville, was killed as he rode his motorcycle when a car pulled out of Matanzas Woods to take U.S. 1, and failed to see the motorcyclist. Pearson was riding north on U.S. 1 at around 7:40 this morning. The sun had risen, it was a clear morning, traffic was light. 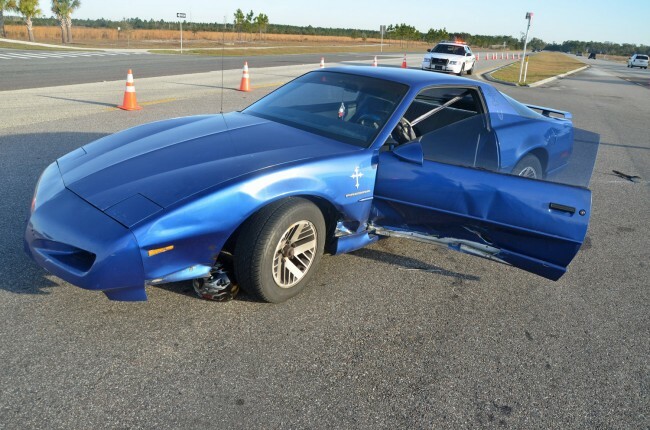 Michael Joseph Diedel Jr., a 20-year-old Palm Coast resident, was driving a 1991 Pontiac Firebird east on Matanzas Woods. According to a Florida Highway Patrol investigator, Diedel pulled out to make a left turn south onto U.S. 1, and somehow failed to see the biker riding north. 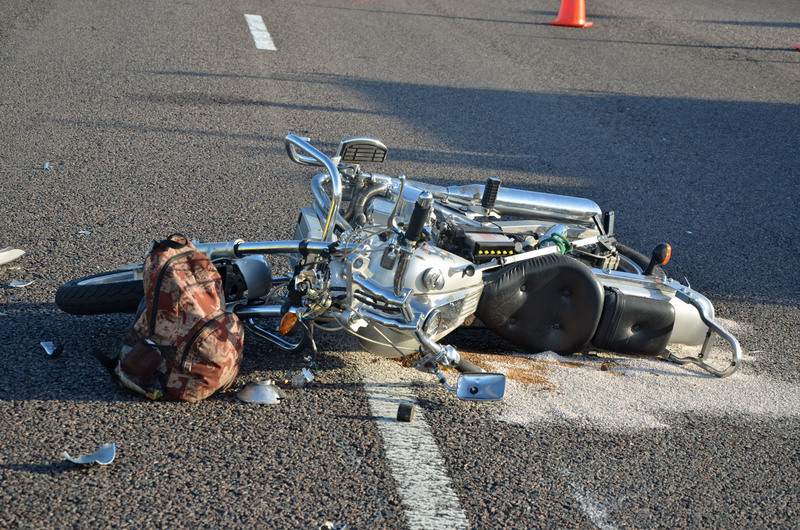 Pearson applied the brakes hard–a mark was evident near the center of the two northbound lanes–and laid down the bike in a protective maneuver, the investigator said. But he was then run over by the Pontiac: the biker was wearing a helmet. The helmet was at the base of the front-left tire of the Pontiac, which had come to a rest in the median of the four-lane highway, facing toward the south. 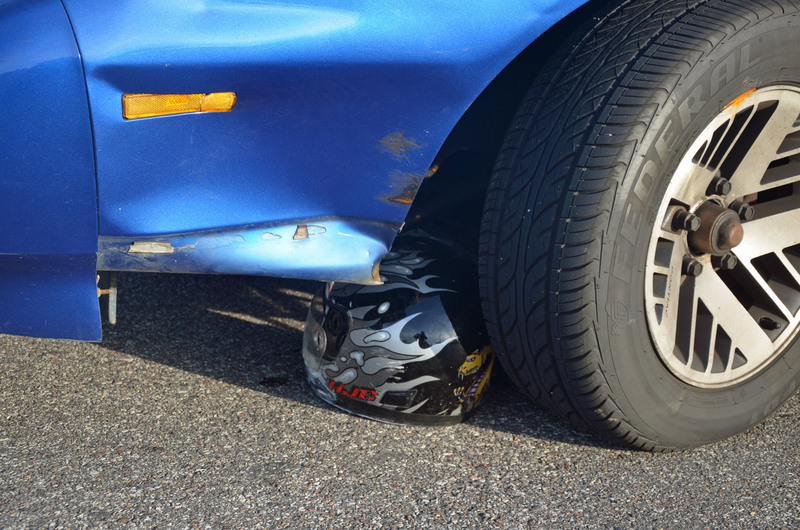 The helmet had left a an imprint on the pavement in the form of an arc from the point of impact. The victim himself was near the motorcycle, in the middle of the northbound lanes. Diedel, who was riding with two passengers, at the scene after the crash, was visibly shaken and being comforted by friends or family, and sat in a civilian car as investigators continued their work. The medical examiner had not arrived, so the body of the victim remained on the road, covered in a yellow tarp. Checking the tinting on the Firebird, the investigator said it was within the legal range. He added that no alcohol was involved regarding Diedel, and that the investigation was still preliminary. It is the first Bike Week-related fatality of 2013 in Flagler County. Late this afternoon (March 13), the Flagler County Sheriff’s Office confirmed that there had been another wreck at the same location at 6:50 a.m. “The caller reported seeing the vehicle travelling south on US 1 and then roll over and come to a stop on its side in the median,” a sheriff’s spokesman said. 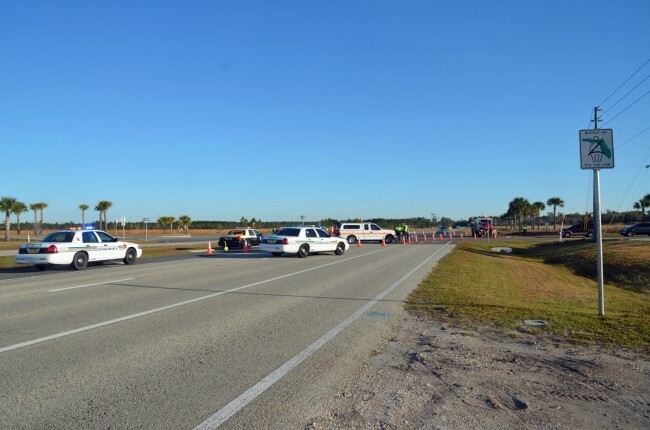 A member of the Diedel called local media, including FlaglerLive, to report that the emergency cones for that wreck as well as law enforcement officials were at the intersection when the second wreck and the fatality unfolded–and that the earlier scene had interfered with visibility. In other words, the drivers did not have the usual clear lines of sight as the second wreck unfolded, according to the family member. People, please drive as if there IS someone in your blind spot at all times and you will save lives. So very sorry to see this. Assume there is a bike there and bring everybody home alive. This accident wasn’t about blind spots. It was a t-bone at a cross intersection with clear views in all directions. Accidents like this are an ongoing problem at that intersection for some reason – excessive speed by drivers out on US-1? Lack of attention by drivers approaching the intersection on Matanzas? Whatever the reason, we desperately need a light at that intersection. Was there a red light camera to prevent this? How about more lighting and traffic lights, even caution lights at that intersection. Poor planning as always by DOT. The speed limit at that point is WAY too high, I believe it’s 60-65 and people seems to go the addoitional 5-10 miles over the speed limit. No telling how fast the bike was going. I’ve driven that way many times and cars dart out not even stopping to get onto US1.What’s the hurry? Tragedy for sure. I feel very sorry for all involved and condolesces to the motorcyclist family, very, very sad for a preventable accident. So very sorry for the victim and his family, as well as the young man involved in the accident. Please use extra caution while driving…such an unfortunate accident. So sorry for all those involved. How did the driver fail to see the driver going North when attempting to make a turn to the left (South)? Easy, I’m sure he was only looking to his right. I see it all the time when people are making left hand turns. I was taught, look to the left, look to the right and then look to the left again before pulling out into traffic when making a left hand turn – and I’m not that old! I was also taught, if you are going to take a chance and pull out in front of someone, make sure you move it and get up to speed quickly or it may end badly for you and someone else. I see this all the time too…going 45 in a 45 and someone waits until you are RIGHT THERE at the intersection to pull out in front you barely creeping along…you have to either slam on your brakes or pray you can get over into the next lane. But boy they have no problem catching up to you to give you the finger, which by the way is neither insulting nor whimsical these days, it is only a finger that you probably just had up your nose. Anyway, another sad story, another sad day in the vein of existence that is mankind. That kid will feel horrible about this for a long, long time. I hope it turns out to just be a pure accident, with no one at fault. How haunting this would be. One thing that may be not be noticed is that the Windshield Pillars may have blocked the drivers view and obscured the drivers view when they first approached the intersection. It does happen folks. That is why your asked to “Look Twice”. Look Twice means simply when at an intersection or upon approaching one, you look left…look Right…Then look left again before encroaching the through traffic. While your making the turn ( If a left turn) then you look right again before entering that lane or line of traffic. Slow down it may make all the difference in the world to someone you may or may not know. What a horrible thing to have happen on any morning! Yes, people do seem to drive like maniacs through that intersection. Everyone needs to be more observant especially this time of year. So many bikers seem oblivious to cars, darting in and out of traffic, and drivers of cars and trucks need to be more watchful for them all year around. Common sense needs to play a role sometime. Sure, a traffic light would be great after all, there is one at the next intersection for Palm Coast Parkway, but how long before all drivers/riders are thinking if they speed up they can make the light? My condolences to the family of the biker. Lets add more traffic lights, lower speed limit by 20 mph, increase traffic patrol, and make riders wear pink polka dot bandanas. Enough already with your regulations and limits on living. Some feeble brained people can only think of more limitations, less freedoms, impinged liberties, and more and more nany state mentality. This liberal brain disease mentality is nauseating and demented. So by that logic we should never have installed a single traffic light in this town as it grew explosively. Yeah let’s just turn the Palm Coast Parkway/Cypress Point intersection into a four way stop! Traffic lights limit my freedom and I’m so tired of the government helping get me home alive when I go buy my groceries by regulating traffic flow. Traffic lights exist to create order out of traffic chaos at busy and dangerous intersections, thereby improving safety. This town is changing and growing, creating need for them where there wasn’t before as traffic increases. A series of serious incidents at this one intersection makes it appear that traffic is now heavy enough through that intersection that it requires more regulation than a two way stop sign. That’s not liberal brain disease – that’s common sense. So now traffic lights are liberal. Let me get this right. If you don’t agree with something, it must be liberal. If an armadillo tears up your lawn, is the armadillo liberal? Thats the 2nd wreck there today one at 6:45 a car flipped over. A few years ago there was an accident by S.E.A.S a motorcycle came out of no where and the car in front of us was impacted by a motorcylce which came out of no where. Motorcycle drivers should be cautious too and drive well. When you come out of no where.. Not too many people can see you!. Watch out for motorcycles but also watch your speed and you’ll be safe. Don’t come out of no where. Also about the motorcycle man that was killed on Whiteview Pkwy last year.. I believe the city has fault in this because even after the accident that claimed a life they have failed to remove that huge sign that has the name of the area. “Lehigh woods” or whatever it says on it. That sign is clearly in the way of the driver’s view. I’ve been there myself and you have to pull up some more to see if there are any cars coming. CITY OF PALM COAST please do something about these obstructions. Same as in the light across from walmart by the city offices those trees are in the way of the lights if you’re going towards palm coast pkwy. Someone has to do something! They put a traffic light at the US1 entrance to Plantation Bay after a fatal accident. Seems to like a traffic light is needed at Matanzas Woods and US1. People in this town don’t see motorcycles or school buses. They pull out in front of the school buses, run their lights, cut them off, and tail gate them. And these are the very same people who will stand up and claim that its the school bus drivers that are unsafe. It’s a shame. I’ve never seen a county full of drivers so disrespectful of schools buses and the children riding in them. Wow! Have you been out on the road lately. School bus drivers are some of the worst drivers out there. I drive past FPC every morning and the see the busses making right turns against red lights without stopping impeding on coming traffic, when they make turns off Bulldog their right rear tires are off the road and just the other day I had one pass me in an active school zone on Belle Terre. They hold a CDL making them professional drivers and they are held to a higher standard. They should be setting a better example on the road. Part time drivers at the helm, of such large vehicles, that are carrying the most precious cargo our kids, should show more diligence for safety and the rules of the road. we don’t need a light there. by the way it isn’t an intersection. matanzas woods dead into us1…people are just careless,texting,playing with the radio,gps,talking on the phone. wake up people and pay attention. you can see for a mile in both directions. it couldn’t be much easier. put up a light will mean another worthless red light camera. we’ve only got 73. I would like to send my heartfelt condolences to the family of this biker, I would also like to add that 2 accidents within an hour of each other at this intersection means the city should be taking a look here. On a foggy morning which there are plenty, a driver can barely see traffic coming south from St Augustine when making a left off of Matanza’s Prky. Definately time to consider putting a traffic light before the next tragedy occurs. This week as I was pulling out of Panera Bread going westbound at nearly dark, a biker had no lights on and was going at a high rate of speed weaving in and out of traffic. The cars behind him had their lights on and the glare behind him made it very difficult to see him. If I wouldn’t have heard the noise of the bike, I would have pulled out in front of him since the other cars were further east of the light at Highway 100 and Seminole Woods Boulevard. Sad for the driver and his friends who hit him and for the biker’s family. Accept the fact that nobody in a position to do so is smart enough to take the relatively simple step of lowering the damn speed limit north of Palm Coast Parkway to 55 mph–at least around the Matanzas Woods intersection. Assume that you may have to sit for a minute or five longer than you would at a light, when waiting to turn onto this major highway from this boulevard. Until there’s a light there–or until the speed limit is lowered–drivers have to be more careful and assume that every last car and bike on that road is going faster than the current limit of 65. Which most people do. It’s even more important during special events season, when tourists are everywhere–they may actually assume that the posted speed limits are protective of them, too. With that many side roads, that stretch of US 1 should NOT be posted above 55. But it is, so use your head! A half mile at 65-70 miles an hour doesn’t take long to traverse, so the “lead time” when deciding whether or not to turn onto US1 from that road is very short when you see a vehicle approaching. If you’re not sure, DON’T DO IT. The drivers on that major highway can’t slow down from that kind of speed fast enough to keep from hitting you. Wherever you are going is still going to be there when you get there. It is NOT worth a life to take a chance, to shave a minute or two of time off your trip, or to placate the idiot behind you who’s in a hurry even if you’re not. I feel for the motorist who caused this, but for the love of God, we have got to get it together more behind the wheel on our own, and not wait for the local fifedom to engineer this kind of thing into some kind of reasonable traffic standard. When are enough people going to get hurt before we install a light there? My thoughts and prayers go out to all involved. I was coming home from work that morning and saw him on the ground….a light specifically for the left turns would of helped in this case. I will tell you what is most disturbing…I have been taking that left turn and right turn for 5+ years and I cannot for the life other me understand why we cannot see each other. I look twice..three times most.. because I have watched many accidents at that intersection. What hit me in the pit was that i saw this gentleman on the road dead on the way to work lying on the road under the yellow tarp which did cover all of him. I saw his head, his shoulderss, his hands…why? AND when I can home on my usual ride home the same day I had to ride over onto matanzas the the stain of his blood…Which I feel is disrespectful to the victum of this horrible tradedy. MY DEEPEST SYMPATHY GOES OUT TO THE MAN WHO PASSED AND THE PERSON WHO IS RESPONSIBLE. My thoughts and prayers go out to the motorcyclist family and the young man that hit him (remember everyone he was not drinking and he has to live with this tragedy for the rest of his life.) And also remember that the other accient scene could have been an issue to impede the sight for the young man driving the car. Same old excuse, when a well protected driver on a four wheeled vehicle criminally cuts in front of a biker, cyclist or pedestrian that have the right of way and kills them. Always the chance to victimize the victim twice, as he/she can no longer defend themselves. While this maintains the status quo, more innocent will continuo being slaughtered in the same manner in Florida. On behalf of the biker I just say that there is a big Stop Sign that I recall in Matanzas Pkwy to Rte 1. Is pathetic that cyclist also have to risk their lives when they have the right to share the road as well. Yes “someone has to do something”, like driving our cars trying a little more attention and kindness for a change! Sincere and deepest simpathy to Mr.Pearson’s family from this Palm Coaster! My condolences go out to both families. The family of the biker who I do not know, and the young man who I do. Mr. Diedel is one of the kindest, finest young men I have ever had the pleasure of knowing. I am so sorry that this burden has been put upon him. I hope that every one involved understands that this is called a traffic accident for a reason, because it was an accident. An accident that will be just as hard for Joey to deal with as the family of the gentleman who was killed.